Moms make many sacrifices for their children. It's part of the territory. We set aside our careers, goals, and all kinds of dreams for those giggling, three feet tall, curly haired blessings. In the midst of making life choices or in the trenches of mothering, we can be tempted to resent the season we are in because we desire to do something, be something, or just accomplish something that is worth value in the eyes of others or ourselves. Be careful sweet sister. Don’t fall into the trap of wishing you were in a different season. Do you struggle with this? Desiring to be in the season just ahead of where you are right now? Is this discontentment preventing you from fully embracing where God has you now? What's going on sister? Do you think you have something to prove? God has you right where you are, right now, for a reason. And you are DOING something. You are right where He wants you. Where you are, is your bootcamp. To everything there is a season. What is this season about for you? If there is one thing I could urge you sister, it is to embrace the season you are in right now and give it your best because you are DOING something incredible. You are raising the next generation. Don't let anyone tell you that what you do doesn't matter. Guard your eyes (on social media) and your ears from such lies from the devil. Stop comparing and letting it make you feel defeated. Stop thinking that life will be better once ________. The test is now. God has a lesson for you today. He is sanctifying you and challenging you to care for the least of these. He is asking you to serve, to teach, to nurture, to build up, and to minister to your husband and children. That is no minor job. And this season of weariness, doubt, exhaustion, and constant service will change soon enough. There will be a day when you are an empty nester, believe it or not. And you want to look back without regrets, knowing you gave those you love the most your attention and best years. Your life is happening now momma, and it will pass you by if you don’t pay attention. Whether you have just had your first baby and you are trying to decide if you are going to go back to work or stay home or whether your seventeen-year-old is about to head off to college, God wants to meet you where you are. He wants to hold you up in every season along this journey of motherhood. There is a time to be born and to have babies. There is a time to be broken and a time to heal, a time to weep and a time to laugh. As moms, this is our everyday life, is it not? I know this motherhood gig may seem like the hardest thing you have ever done, but don’t spend your days focused on how hard it is. Instead, choose to embrace this season. Take insane amounts of pictures. Nap. Cuddle your kids and read aloud to them. Take charge of your home instead of avoiding it. And in the midst of the journey ask this one question: God, what do You want to teach me? Lord Jesus, Thank you for the gift of children. They are truly my greatest gift and blessing. Help me to see them as such daily, and for them to see that love and thankfulness in my eyes and hear it in my words. Help me to be totally present with my children and my husband. I know I take for granted the season I am in and will certainly miss it one day. I don’t want to live with regrets Lord. Help me to joyfully embrace the season I am in and learn what You have for me where I am. Amen. Angie has been married to Isaac for 18 years and is the mom of seven children ranging from 19 months to 17 years old. She is passionate about encouraging women in their faith, but also really enjoys a good ladies night out with kindred sisters that know how to get real and laugh hard! 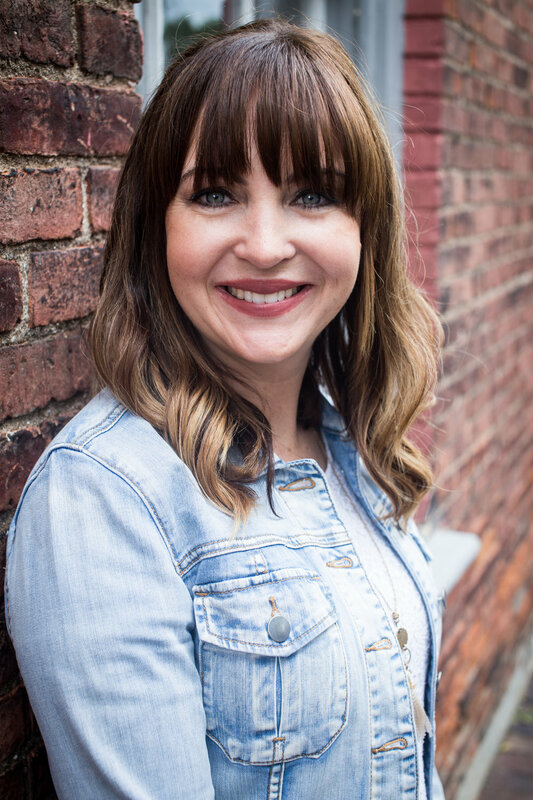 Angie is the author of Redeeming Childbirth, an 11 Parenting Course for Moms, and an online Bible Study on Building God-Centered Friendships, which you can find out more about on her Facebook page and at CourageousMom.com! Feb 28 A Fun Spring Bible Study for Moms and Kids!